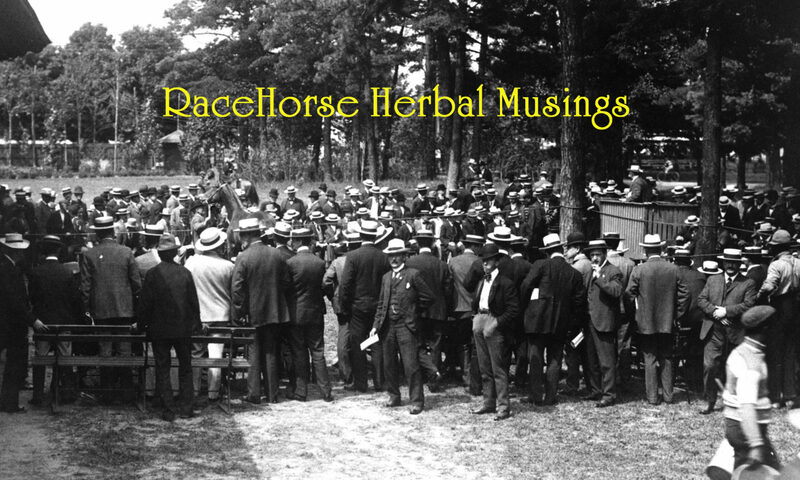 Page 3 – Holistic equine health and old timey race training. 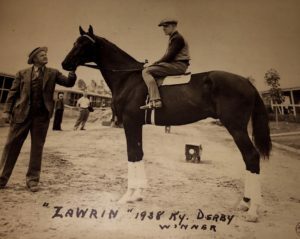 Holistic equine health and old timey race training. On a day in January (2016), a rather remarkable event happened to me that month. 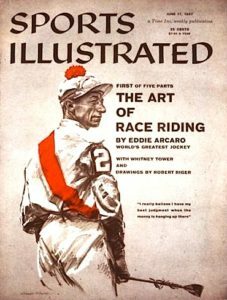 I was contacted by Jason Neff, who brought to my attention, a recently published book by his father, Myles Neff, titled: Stylin’: Reviving the Lost Art of Race Riding. I consider this to be one of the most valuable Thoroughbred racing books which I have read in years! Before that date, I thought I was the lone voice in the wilderness suggesting that we need to go back to the older style of jock’s seat perfected in the mid-20th century which can now only be seen in old news reel footages. Myles Neff through this book has provided a unique insight into that old style of riding which was called “stylin” by the boys that had to ride for a living back during that past era. 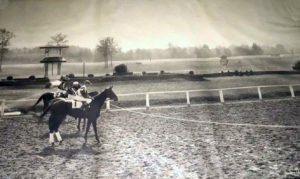 This style of race riding where the jock was pretty much on his belly against the horse from gate to finish was epitomized by such old time greats as Eddie Arcaro, George Woolf, Earl Sande, Jack Westrope and Neff’s own teacher/mentor, George Martin. Myles was one of the last jocks to have utilized that style and it is seldom seen in these modern times. 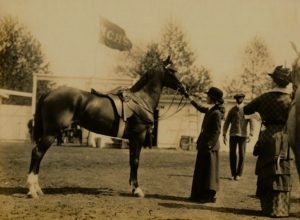 A photo of Myles Neff, “down on his belly” in the “skin of his horse” as he was often fond of saying can be seen at the bottom of this post. Unfortunately, the sport lost this great man in 2011 to cancer, but his book lives on and can teach much to those open to learn and think. George Martin, Neff’s tutor riding the perfect race seat. 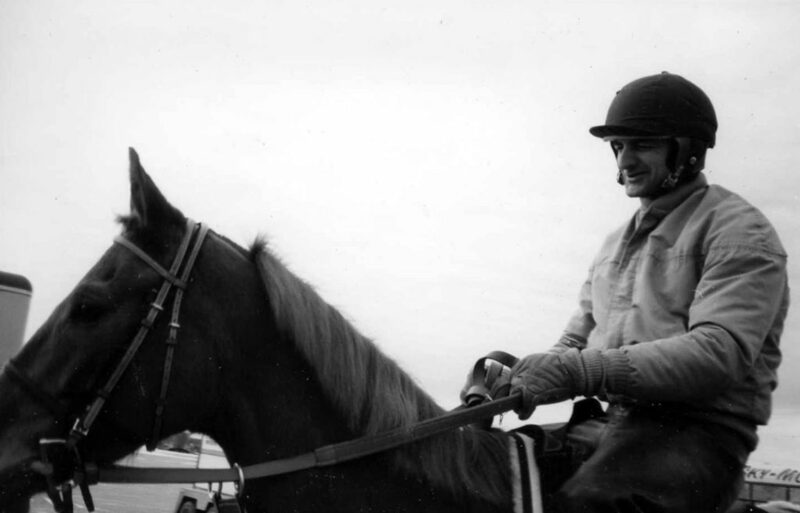 One of the regrets of my life was that Jimmy Jones, the famed trainer of Calumet Farms and who lived not far from my family farm in northwest Missouri, died before I had a chance to pick his brain on old time training methods as practiced by he and his father, Ben. This is an all to common fate of great men with valuable knowledge. Their knowledge often dies with them! Myles has left a legacy for all of us who ride and train Thoroughbreds to contemplate. It allows us to reach beyond the current style of riding for that much coveted edge which only this style of aerodynamic and close contact seat can offer. Ignore it at your stable’s own peril! 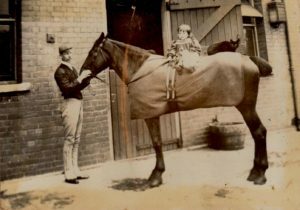 Myles Neff was a rather unlikely jockey! 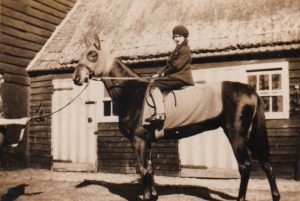 At 13, he was 5′ 10″ tall and weighed 130 pounds, yet he wanted to ride more than anything in the world! His brother, two years older, weighed 180 pounds! Everyone discouraged him from trying to ride professionally and for good reason! 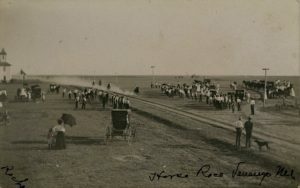 By the time he reached his 15th birthday, he had gotten his weight down to 112 and took out his license at the old Detroit Race Course. He persevered, eventually won a few but moreover showed his guts. 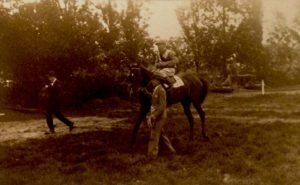 Finally, his father gave in and asked an old friend and famed jockey, George Martin to take his son under his wing teaching him the riding style that George was renowned for. The rest is history as they say. I find it amazing that such a tall rider could so easily get down low and ride in this style! This is certainly a reflection on how this style can create a rider, no matter how tall which is efficient and a threat to shorter, lighter jocks. Technique is everything and balance is the key! It makes one question why the Brit jock, Lester Piggott (5″ 8″), felt like he needed to ride so high in the air! His common excuse was that he had to because of his height! Myles towering over the average jock at 5′ 10″. 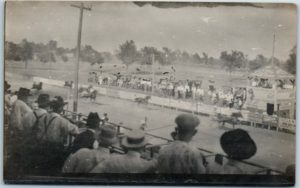 The beauty of this original style of the American racing seat before it was corrupted by what we see today was that the jock rode low from start-to-finish on his belly, often had his face in the mane, avoided unbalancing his mount by maintaining a perfectly still seat, and rode with hands that provided sensitive contact with his horse’s mouth. It was a beautiful image of pure poetry in motion paired with an animal unhindered! In contrast, compare this image with what one sees today! Modern jocks ride high up in the air catching wind, ride with wide elbows often throwing the reins at their horse losing contact, wiggle around, and just generally hindering the balance of their mounts. Yes, a low seat does put added strain on the rider. Its tiring on the legs. Many will say they ride high to save themselves and relax their horse. I say BS to that or they just don’t know any better! They are athletes after all! There is no reason why they cannot strengthen their muscles to accommodate this lower more demanding style. As far as relaxing the horse, phooey! I dare say there is more strain on the horse high up then down low and as far as making the horse relax during the early portions of a race by riding higher, I simply don’t buy it. Horses catch on pretty fast when the rider wants him to really try. 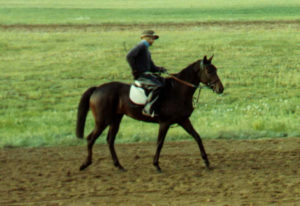 The Brit trainer, Fred Rickaby writes that the gifted rider is perfectly balanced on his horse, never out of rhythm. There is no better way to accomplish this than by using this old style of riding down and close. Lets talk about wind resistance. If for no other reason, staying down low avoiding catching the air should be the number one reason to adopt this style. The speed of a race horse can be anywhere from around 35-40 mph and if you figure in a head wind, drag really gets complicated and serious detriment fast! 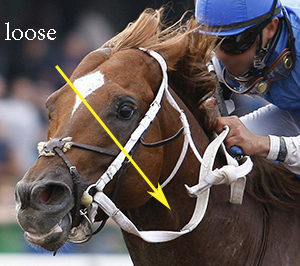 A race horse wins by being the one that uses the least energy to get from point A to point B. This economy of energy can be accomplished in many ways with air resistance being one of the more serious factors to consider in energy expenditure. 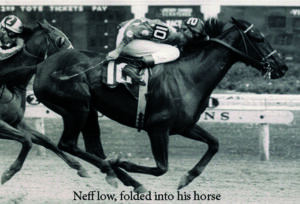 Neff points out in his book that there is scientific research that shows that the lower riding jockey reduces drag by 31% as compared to a rider sitting higher up. Just plain common sense will tell you that! He also writes that bicycle racers which have speeds around 30 mph can gain a five foot advantage per mile per 1% decrease in air drag. M.I.T. researchers run a computer simulation program that calculated a rider riding down low achieved a drag force of 2.5 pounds lower than the same jock riding a bit higher. This would mean that a low ridden horse would experience a decrease in work load of 15% just from avoiding a higher seat by a less enlightened jock. Air resistance matters! Its insane that trainers and jockeys seem absolutely lackadaisical to the crimes that are being committed every day in races just from riders acting like parachutes! What about balance? It doesn’t take a genius to know that the lower the center of gravity, the more stable the object. The lower riding jock creates a lower center of gravity not only in himself, but in the moving object combination of horse plus rider. The higher the rider, the more easily he can interfere with the balance of the horse via simple leverage. The closer he is to the center of gravity of the horse, the more he becomes that horse and achieves as Neff likes to say: “getting into his skin”, becoming one with the horse. 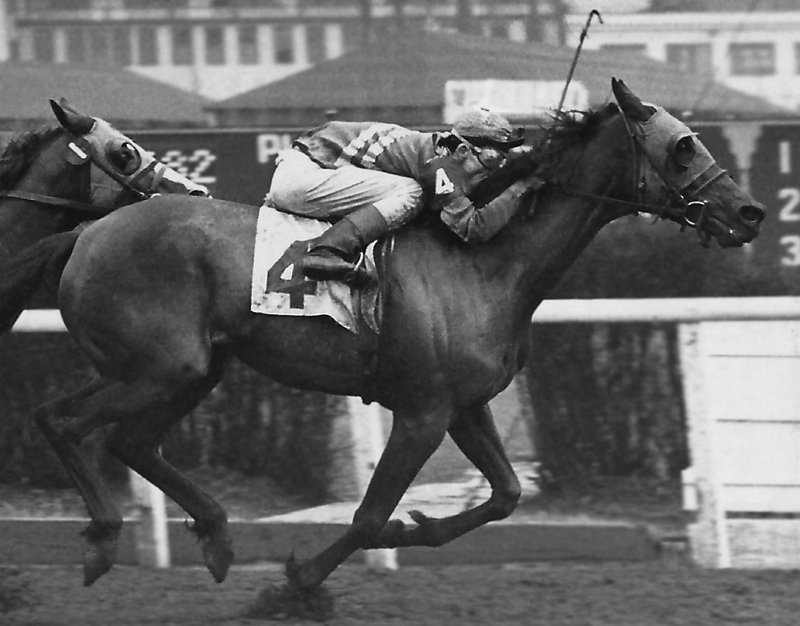 Again, let me remind the reader that the truly gifted jockeys, the ones that get the most out of their mounts are the ones that are the most balanced on their horses, that disturb them the least, that let them run unhindered. George Woolf was the true example of this style and was called the “ice man” exactly because no one could tell what he was thinking by how still and balanced he was throughout a race. Myles Neff does fortunately discuss in detail the current style and problems of jockeys’ hands. He despises the loose rein as much as I do and he writes how important it is to have a constant communication with the racehorse with a sensitive contact that can inspire. He also makes it clear that the close old time seat is the best seat to use in conjunction with good hands to get all one can out of his mount. Riding high with a loose rein is an abomination! The close seat provides a stable balanced rider that has stable sensitive hands! So where did Thoroughbred horse racing go wrong and why have we come to this current sorry state of affairs? Perhaps, it is the industry’s departure from having jockeys under contract with stables while they were learning their trade? 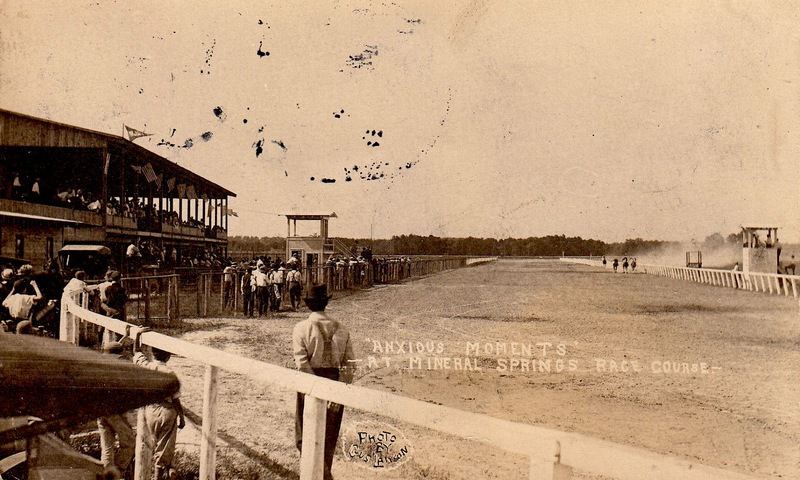 Back when that indentured system was prevalent in our sport, a young man was taken under the wing of a trainer and closely supervised from start-to-finish, tutored on the necessary skills of race riding, closely monitored in every aspect of his life. Not any more! Jocks are created with only the most sparse of riding experience rising up under no one master mentor. They are also more prone to see their peers as examples to emulate. With everyone on the track riding high and loose-reined, how do you expect them to know the better way to ride? We also received an influx of Latin American riders from the 1970s onward that brought into our jockey membership, riders with a different culture and background of riding style. 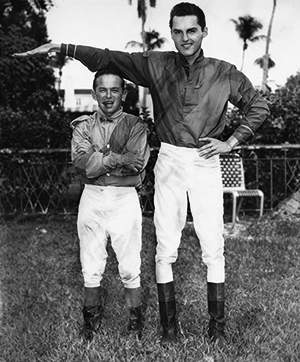 Myles recounts in his book how he visited with Eddie Arcaro toward the end of his life at a Florida Expo event asking the great jockey if he thought it possible to teach young riders to again ride close as they did forsaking the modern style. Eddie said: “Not even with a gun to their heads!” He told Neff he had tried in the past to mentor young riders, but they were all resistant to changing their style. Whether it be peer pressure, laziness or ego, Arcaro had no luck influencing this style’s resurgence and so goes life. No doubt, some day we will go back to the old style. Maybe it will take a hungry, innovative young rider, similar to a Todd Sloan of the late 1800s that sees the light on his or her own and wins everything in sight riding low & close, but it wont be soon or easy. If you are a young rider looking for an edge, consider going against the status quo, consider stylin’! Click on the below photo of Neff riding in the stylin’ way to buy his book. I wish I had it when I was active in the sport! Your author winning with a 2 year old NJ stakes filly in my earlier years as a Harness trainer.